Daniel O'Connor earned his bachelor's degree in mechanical engineering from Rensselaer Polytechnic Institute (RPI) and his master's degree in philosophical theology from Holy Apostles College & Seminary. He worked in the corporate engineering industry before moving on to non-profit charitable work, helping to found and run the John Bosco House for homeless young men. Daniel has been honored to teach high school students in mathematics, physics, chemistry, and SAT preparation. He also teaches philosophy at the college level. 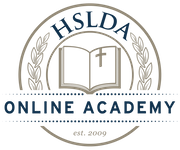 He has been teaching online for over four years and comes highly recommended by his students for his ability to engage and explain in the online environment. He currently lives in Albany, NY, with his wife and three children. In his free time, Daniel enjoys engineering work for his own hobby innovation company, renovating his 100-year-old fixer-upper home, and, above all, spending time in prayer. Daniel has been teaching with the Academy since 2016.